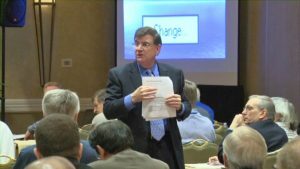 What are the country’s top salespeople actually learning during negotiation skills training sessions? The truth is that they are not becoming better negotiators. Sales negotiation skills actually have little to do with learning how to negotiate. Instead, the best kind of negotiation training focuses on the client’s perception of the negotiation process. It doesn’t matter how well you negotiate. All that really matters is how well the client thinks you can negotiate. Their perception of your negotiation training will determine how much confidence they have in your ability to guide the conversation and eventual transaction toward a mutually beneficial outcome. When you begin negotiation skills training, it’s easy to start seeking tricks and tools that will help you bend clients to your will and get them to spend more money. But the best sales negotiation skills never separate your goal from the client’s goal. Instead, they show you how to work together to achieve a common goal, and how to make the client feel like they are getting the best possible deal. When clients are confident in your negotiation skills, they unconsciously defer to your abilities as a negotiator. This means they expect you to guide them towards a great deal, even if they end up spending more than they’d initially expected. Negotiation training will show you how to effortlessly lead a sales transaction, ensure that your sales goals are met, and make the customer feel as satisfied with the deal as you are. Mike Hourigan is a Keynote Speaker, Author and Consultant who specializes in sales negotiation skills training. Contact Mike at 704-875-3030, 888-PRO-KEYNOTE or send him a message.